It’s still surprising to me that in almost every business sector, few business-to-business organizations blog. There are many blogs in the technology industry, but virtually none of the dozens of my state and local competitors blog. There is one that pays $250 per month and runs the automatic duplicate content (penalized by search engines and incredibly obvious to customers) from Tech Advisory. There are likely a couple of poorly promoted competitor blogs that I haven’t found, but the overwhelming majority of competitors don’t blog. The competition is unwilling or unable to blog. It’s not a slam on the competition. You call that a niche. 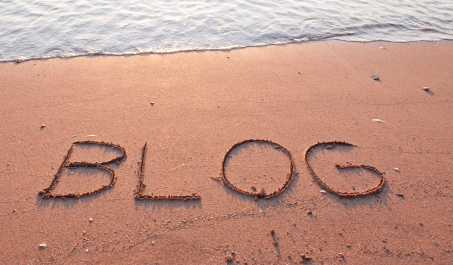 A blog is an asset just as much as a building, contracts, and accounts receivable. Your blog is a significant part of your content marketing to build reputation and authority on the Internet – not to mention being found in searches and relevant to your industry. Blog posts never go away and your blog only appreciates in value with the more content you add. All that hard work is actually measurable in page views, downloads, and conversions versus the dollars you may give away to traditional print, TV, radio, or billboard marketing with no return or outcomes. A blog is a strategic weapon to answer prospect and client questions, before they even talk to you. Blogging is definitely a long-term strategy with no get rich quick schemes. Generally, you must have over 100 posts before you can be considered successful. I toiled for over 2 years before getting any real traction, making many of the common mistakes and a few innovative successes. If you don’t blog, you’re absent from the possibilities of searches for prospects and customers. To put it another way, if 90% of the world’s data has been generated online in the last 2 years, then you’re getting in on the ground floor or will soon be too far behind to catch up. All I know is since blogging (as one part of an overall marketing strategy), I have dozens of warm leads contacting me monthly with 4 less sales people and double the profits. Get some strategy. You may start out with the show up and throw up approach, like it’s the end of the month so we need another blog post. However, the only reason to have a blog is to support your main website and link by keywords, with the real motive of allowing people to browse at their pace and move down the sales cycle to buy. Combine this concept with stepping out of your shoes to create a spreadsheet of post titles six months to one year ahead. Blend in seasonal or holiday stuff. Most people start with monthly, but quickly learn once a week schedule is really about the right frequency. You’ll see a lot of blather about daily or multiple times a day posts, which isn’t practical unless you’re a magazine or news organization. Measure or evaluate your blog statistics regularly or blogging will be that exercise program you started and got disillusioned with in a few weeks. Learn the rules. Sure, take some risks and test lots of ideas, but learn the rules of the road. Others don’t get hurt if you don’t, but you are definitely impacted and likely harming your bottom-line otherwise. Yes, this is another mini-career just like getting enough business knowledge to evaluate what your CPA or lawyer tells you. Like most things, there are many ways to success here is a link to 25 Expert WordPress.com Principles. So are you going to get in the game? Or are you going to wait until next year to start a blog when 95% of the world’s data has been generated online and there is very little opportunity for customers to find your unique content and voice?